Well, I was going to make a joke about the name Road Boss 2 sounding like a movie squeal title until I realized I already made that joke four years ago in this post. I guess it’s time for some new material. Based on the two tone greet paint job I would peg this truck as a former Suit Kote tractor. 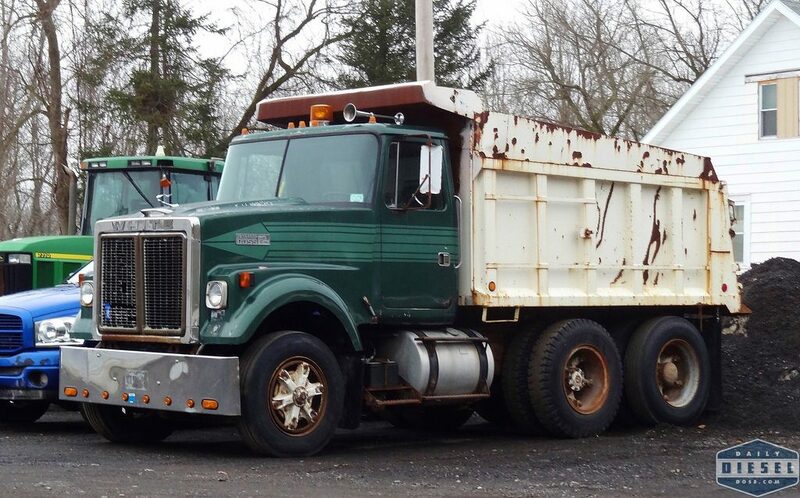 It’s possible in its later years with the company it was converted to a dump and probably used a site truck. Or maybe the dumper came along with the second or third owner. Yet another mystery of time and space that will go unsolved. 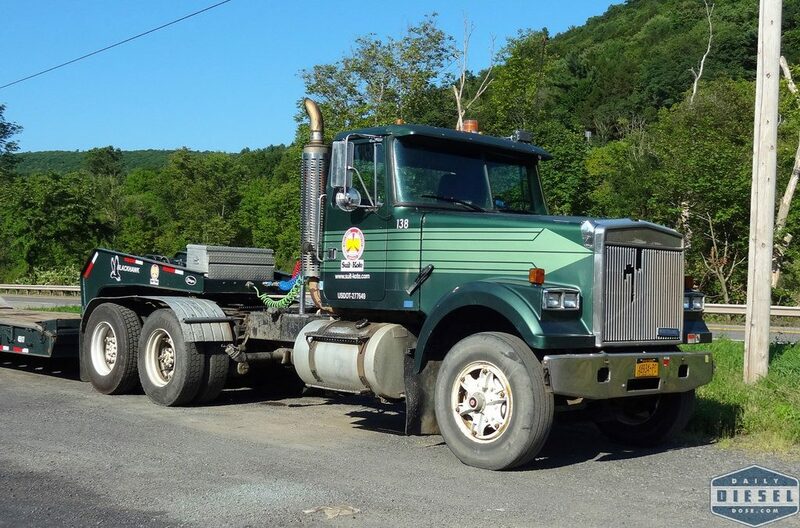 For all you White GMC/Volvo experts out there can you tell us if the green pencil graphic on this truck was a factory scheme or was that Suit Kote original? Here we see it on another truck of their fleet. This entry was posted in Lost and Found and tagged road boss 2, suit-kote. Bookmark the permalink. Hi Eric. When I worked for Madison County and we did large oil & stone resurfacing projects, Suit-Kote would provide the oil. In those days, they would show up to the projects with tandem distributor and feed tank trailers being pulled by these Road Boss 2 tractors and Ford LNT-9000 tractors. If I remember right, they had Cummins 903 V8’s in them.